I just got back from a whirlwind weekend to Minnesota with my sister and mom to visit my other sister and friend. It was a fabulous little trip filled with laughter (lots of it! ), food, shopping and the farmer’s market (of course!). It was exactly the little getaway I needed after a week that felt a lot like an emotional roller coaster. Nothing specific happened to make me feel this way, but all of a sudden, I seemed to feel very unsatisfied with where I was in life and felt the need to get everything figured out ASAP….or escape. I shared this experience with the ladies in my Facebook group and many seemed to be experiencing the same thing right now. This could be due to any number of things…shifting seasons, colder weather and less time spent outside, a new moon, a fast approaching holiday season and end to the year…. But really what it comes down to is how we are thinking, which changes how we are feeling, which determines how we experience life. When I start to feel this way, I typically know that I need to take some time away from work and my computer and LIVE more. This weekend really was the perfect combination (exploring a new city (adventure!) + time with friends and family (connection)). I found myself starting the week feeling refreshed and inspired. And even though I don’t have everything figured out (we never do!) I’m feeling okay with where I am right now and trusting that the guidance will come my way when the timing is right. When it comes to starting and growing your own business, one of the hardest things is trusting that everything will work out even when you can’t see exactly HOW. You have to be willing to loosen up a bit and take things one step at a time….without needing to have it all figured out right now. This will bring up fear but it will also provide the space for transformation, adventure, excitement, passion and fulfillment! So worth feeling a little fear! This week I made a video that walks you through the steps of creating your first coaching program. 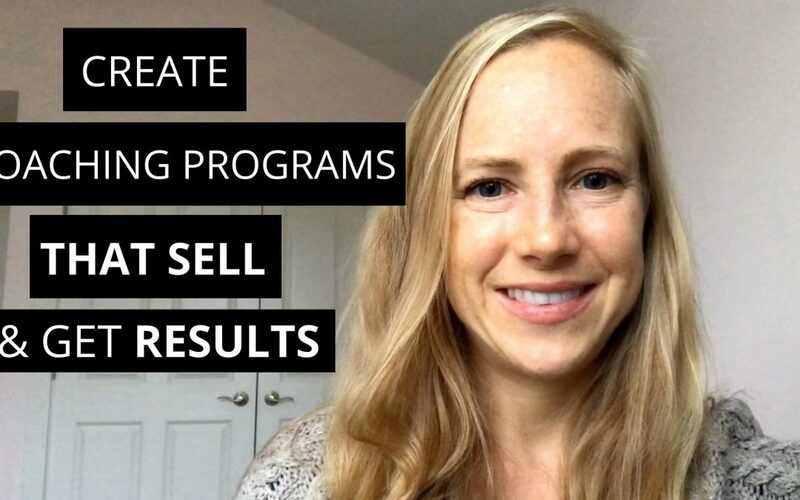 I know this can be an intimidating step for many people so I want to shine some light on the importance of creating your OWN personalized coaching program and give you the steps for making a program that sells and gets your clients results! I would love to know what questions you have about creating your coaching programs. You can comment below or send me an email at kristin@kristinhartjes.com. Also, if you are dreaming of having a successful coaching business but are feeling totally overwhelmed with getting started, I invite you to schedule a free call with me where we can talk about the steps you can take to REALLY make this happen. If you are feeling called to do it, it is possible for you, promise! You can set up your call here!